CPCC strives to make a quality education more accessible through the more than $1 million in scholarships it makes available to close to 1,000 in-need students each year. These gifts are made possible thanks to the generosity of the college’s valued partners – the individuals, business and industry and civic clubs that choose to help transform students’ lives by investing in their future. The German Language and Culture Foundation is a valued CPCC donor that believes in transforming lives by facilitating access to extraordinary educational experiences. 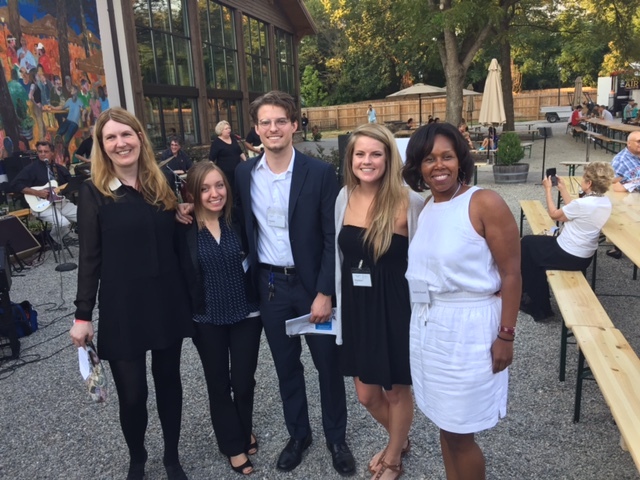 The Foundation accomplishes this through its “Study and Work Abroad – Experience the German Workplace as an Apprentice!” program, an initiative that gives students the opportunity to engage in one month of language study and two months of on-the-job training abroad in Germany. The following three students were awarded program scholarships for the 2017-2018 academic year. As a result, they will travel overseas in January 2018, receiving college credit for their time in Germany, while remaining an employee of the U.S.-based company where they serve as an apprentice and earn a regular paycheck. 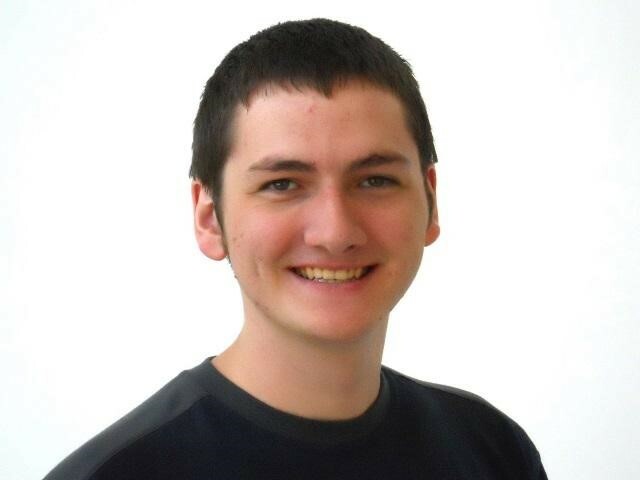 Mechatronics major and first-year German student Caleb Adams is looking forward to his time in Germany this winter – exploring the German culture and how business is conducted outside of the United States – as part of the Study and Work Abroad – Experience the German Workplace as an Apprentice!” program. The Fort Mill, S.C., resident is familiar with the apprenticeship model; he currently serves as an apprentice for groninger USA, LLC. As one of three 2017 Study and Work Abroad program participants, Adams will learn more about groninger’s German operations once overseas, developing a better understanding of company’s robotic machinery and working on its assembly machine lines. CPCC computer integrated machining student Chad Robinson is looking forward to seeing Germany for the first time and being fully immersed in the German culture while studyingand working abroad as a “Study and Work Abroad – Experience the German Workplace as an Apprentice!” scholarship recipient. Robinson, a Charlotte resident, currently serves as an apprentice with Siemens Energy, and will continue in this role overseas in the company’s Muhlheim training facility. He is excited to build upon the machining skills he has learned as an apprentice under the supervision of Siemens’ Charlotte team and practice his German, a language he has only studied for one semester at CPCC. 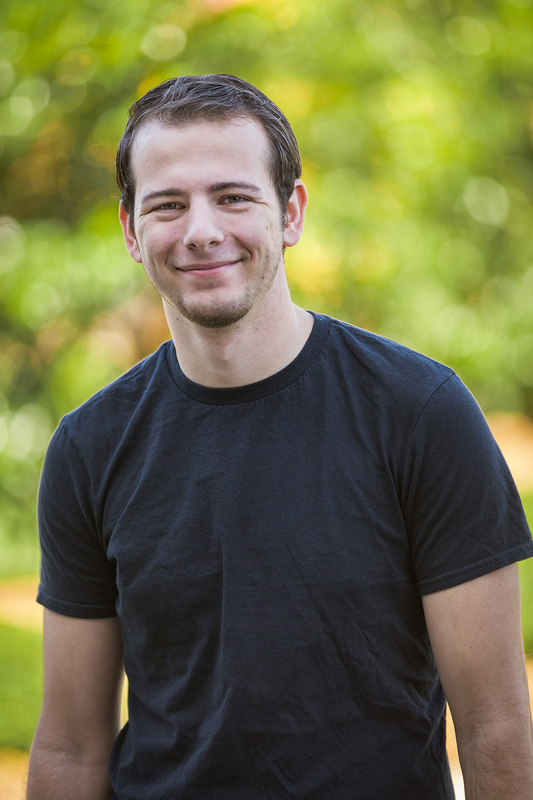 He hopes his time in Germany will give him a better outlook on the world and help him accumulate the knowledge and skills he needs to not only continue his career at Siemens, but also complete his mechanical engineering degree at UNC Charlotte in the future. Ethan McFarlain, a machining technology student at CPCC and an apprentice with Bosch Rexroth, is looking forward to joining the global workforce when he travels to the organization’s manufacturing facility in Germany this January as part of the college’s “Study and Work Abroad – Experience the German Workplace as an Apprentice!” program. 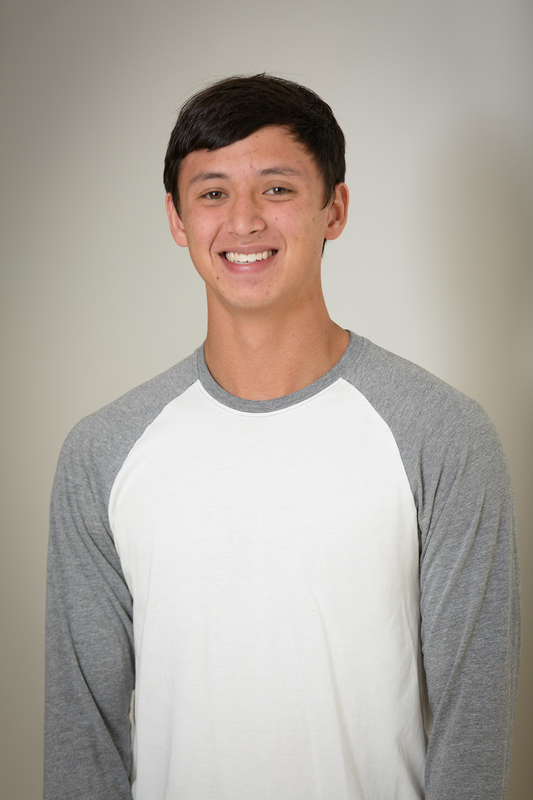 As a scholarship recipient, McFarlain will have the opportunity to work in Bosch Rexroth’s Stuttgart and Schweinfurt facilities, working side by side with his international peers to improve his skills as a machinist. “I want to have a greater understanding of the differences between the United States and other countries,” explains McFarlain. “I can’t wait to begin this new experience, take in the German scenery and learn the skills I’ll need to one day successfully complete a four-year degree in engineering. On Tuesday, April 26 seventy interested students listened to the presentation of the former Stasi Prisoner Mario Röllig at the Levine Campus. Mario grew up in the German Democratic Republic in the sixties. After he fell in love with a West German politician, the Ministry for State Security (Stasi) took notice of the gay 19-year-old East German and demanded that he become an informer. He refused and the Stasi subjected him to massive pressure. After trying to flee the country he was imprisoned in the Stasi Prison Hohenschönhausen in Berlin. Mr. Röllig shared his first-hand account of the GDR dictatorship, incarceration and human rights violations during the Cold War. Mr. Röllig has made it his life’s mission to draw attention to the crimes of the GDR dictatorship to continue fighting Human Rights Abuse everywhere. Today Mr. Röllig gives tours and lectures at the Hohenschönhausen Memorial Museum, the site of his torture. Currently he is the CLAS Eyewitness in Residence at UNC Charlotte. 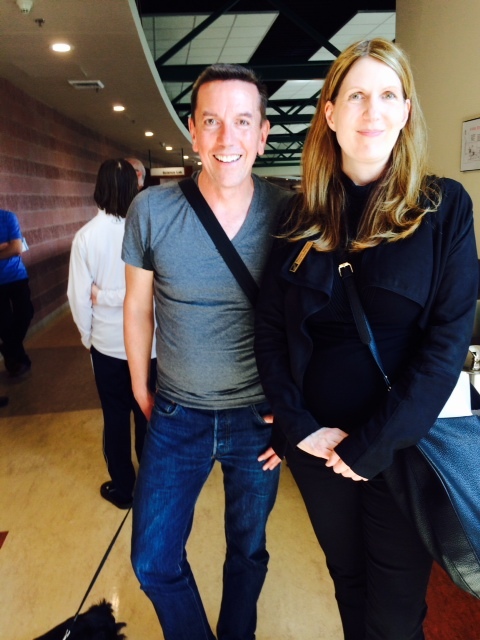 The event was organized by Levine Campus director Catalina Ramirez and German Discipline Chair Daniela Weinert whom Mario promised to stop by in fall 2017 to show a new documentary about his life. Mario Röllig’s story begins in East Germany, circa 1987. He is a teenager, who falls in love with a West German politician. The German Democratic Republic (GDR) demands he spy on his boyfriend. He refuses and attempts to escape to the West. He is caught and incarcerated, interrogated and tortured in Hohenschönhausen Prison, but finds a way to regain his freedom. Today, Mr. Röllig makes it his life’s mission to draw attention to the crimes of the GDR dictatorship and fight human rights abuse everywhere. Currently he is the CLAS Eyewitness in Residence at UNC Charlotte. Join us as Mr. Röllig shares his first-hand account of the GDR dictatorship, incarceration and human rights violations during the Cold War. Tuesday April 26 from 2 – 3 p.m. The event is FREE and open to the public. For more information about this event or to learn more about CPCC’s German programs, please contact Daniela Weinert at 704.330.6044. Germany. Cabrera is one of 75 American participants, from a pool of more than 600 applicants, to be chosen for the program. 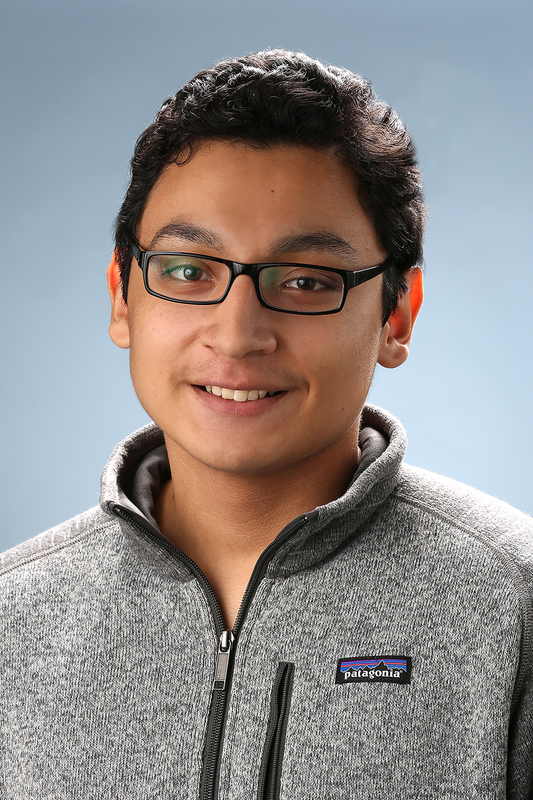 While studying abroad in Germany during the 2016-2017 academic year, Cabrera will attend a two-month intensive German language course, study at a German university or professional school for four months and complete a five-month internship with a German company in his career field. These combined experiences will provide Cabrera with an opportunity to learn about everyday German life from a variety of perspectives. Before being selected for the CBYX program, Cabrera was a graduate of Charlotte-Mecklenburg Schools Cato Middle College High School at CPCC’s Cato Campus, a dual-enrollment program that allows high school juniors and seniors to earn free college credit at CPCC; served as president of the college’s German Club; and participated in CPCC’s Go Global Club, an organization that encourages students to not only learn more about different cultures, but also participate in multi-cultural events. This year marks the 33rd anniversary of the CBYX program, financially supported by the Bureau of Educational and Cultural Affairs of the U.S. Department of State under the authority of the Fulbright-Hays Act. To learn more about CPCC’s German courses, click here. For information on the college’s study abroad program, visit www.cpcc.edu/study-abroad/programs. Heidelberg, Germany, this June. The foundation is giving away yearly $ 100,000 in scholarships for students to study in a German speaking country. CPCC in conjunction with CDS International Inc., (New York, N.Y.) is currently seeking two Charlotte host families for the 2015-2016 Congress-Bundestag Youth Exchange for Young Professionals. The program is an on-going, reciprocal exchange for career-minded young adults, and is supported by both the American and German governments. The program finances the costs for language training and study at American colleges. German participants, who are between the ages of 18 and 24, arrive in U.S. in early- to mid-August, study for the fall term at a local community college and work at a paid internship in their respective fields from January through the end of June. They return as a group to Germany following a mid-July seminar at Georgetown University in Washington, D.C.
All participants are fully covered by a comprehensive medical insurance, are furnished a J-1 work visa by the U.S. State Department, Bureau of Educational and Cultural Affairs, and are required to purchase their own automobiles. Upon request, a modest monthly stipend is available to host families to defray living expenses. CPCC’s program is currently seeking two families, couples or single individuals who are interested in bringing a young German adult into their home for six or eleven months. If you would like to know more about the program, please contact Nadine Russell, director of Global Learning at CPCC, at 704.330.6167 or at global.learning@cpcc.edu. The Charlotte region is home to more than 250 companies from German-speaking Europe. These companies represent a variety of fields, including engineering, manufacturing and automotive; and are interested in employees with both a working knowledge of their industry and the German language. To address this growing workforce trend, Central Piedmont Community College (CPCC) has added a new Technical German class to its already impressive list of non-degree, Corporate and Continuing Education courses. The new class – Technical German I – will serve as an addition to the college’s four existing German levels, offered through its for-credit, curriculum program. During class, students will further develop their basic conversational skills, learn about the cultural characteristics of the German workplace and develop basic reading abilities. After finishing the new Technical German classes, students will receive a certificate of completion. CPCC will begin offering the classes in spring 2015. To learn more about the college’s new Technical German class, please visit https://services.cpcc.edu/cceoutlines/GER7000/. Did you know Charlotte is home to almost 250 companies from German-speaking Europe? These companies represent a variety of fields, including engineering, manufacturing and automotive; and are interested in employees with both a working knowledge of their industry and the German language. This abundance of German-centric companies in the Queen City means job opportunities exist for individuals who are pursuing or have a degree/background in German. four levels of German language programs. German classes, for the first time, at the CPCC Levine Campus. strong partnerships with local business and industry through its apprenticeship, mechatronics and IHK Karlsruhe programs. To learn more about CPCC’s German programs of study, please contact Daniela Weinert at 704.330.6044 or at daniela.weinert@cpcc.edu. 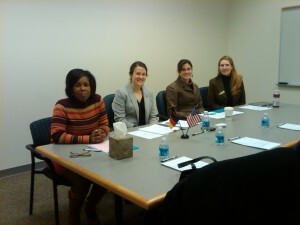 To learn about Charlotte’s German companies and CPCC’s scholarship opportunities, please visit http://www.youtube.com/watch?v=DAfz4OAoI38. (l. to r.): Nadine Russell; Beth Uding, Project Manager CBYX; Pauline Schroeter, Visiting German Instructor from UNCC; and Daniela Weinert. the academic, professional and everyday life of Germany. Nadine Russell, director of Global Learning at CPCC, and Daniela Weinert, discipline chair for the German Language at CPCC, participated in the program’s nationwide interview process. The duo were among four panelists charged with interviewing 16 students from the Carolinas to determine who would be among the 75 students from the U.S. to study for one year in Germany through the CBYX program. The program offers a fully paid scholarship. 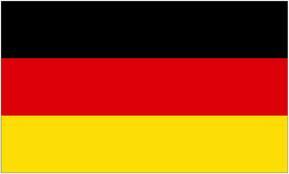 German language students can apply for it every year. Among the 16 students interviewed, two attended CPCC. The students will find out in March if they are selected to participate in the program.